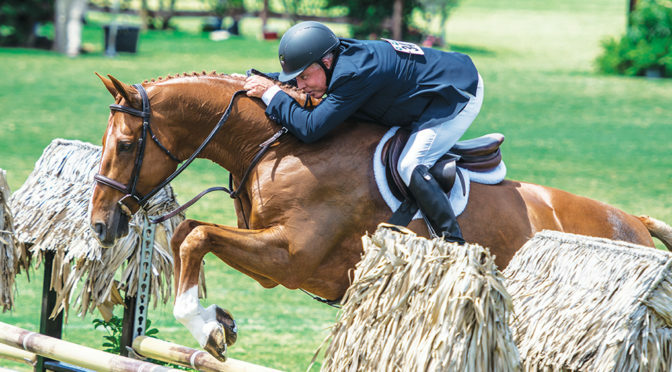 The Winter Equestrian Festival is the world’s largest and longest-running horse show circuit — an elite combination of competition, community, social activity and more, with the start each season bringing the horse world to Wellington. The 12-week schedule offers a variety of competitions for all ages and experience levels in the hunter, jumper and equitation divisions. Beginning in January and concluding in March, WEF welcomes riders and visitors from around the world, distributing nearly $10 million in prize money throughout the three months. Simply put, there is a reason it has been named the world’s premier winter equestrian event. WEF is not just an exceptional competition hub for athletes and spectators, but also provides a luxurious hangout, perfect for activities and events outside the show ring. From shopping and casual dining, to exhilarating entertainment and educational opportunities, WEF offers a unique experience for all those who come to visit. General admission to PBIEC is free and open to the public all season. Looking to purchase a new top for your night on the town? Searching for the perfect gift for a friend to give them a little slice of South Florida heaven? Maybe you are a few minutes away from competing and forgot your boot socks. Whatever you are searching for, you’ll find it within the WEF shopping boutiques. More than 100 vendors occupy the show grounds each week and offer a wide variety of products, styles and sizes. The shops are spread over several locations on site, including on Hunter Hill, over the PBIEC bridge, on Vendor Row and around the many competition rings. Vendor Row hosts the majority of vendors in the center of the grounds, but also check out the boutiques located by the International Arena. Both areas have shopping that cater to all equestrian and non-equestrian needs and range from luxury products to inexpensive merchandise. For those looking to commemorate their visit to the horse show, the WEF Boutique offers clothing, posters and souvenirs with the iconic WEF logo. In addition to its multitude of shopping opportunities, WEF also has an abundance of food and drink, for a quiet lunch or a larger private event. If you are searching for a quick bite during the day, visit one of the on-site vendors that offer everything from burgers and fries to salads and wraps. One fan favorite is Tito’s Tacos, a Mexican-style eatery with tacos, burritos, chips and salsa, and, of course, margaritas. Another is the popular Oasis Café, which offers an assortment of fresh and light meals that can be ordered on-site or ahead of time by phone. You can also sit down at the Tiki Hut to eat a delicious meal while overlooking competition in the International Arena. The Tiki Hut menu includes a variety of burgers and sandwiches, customized salads, grilled chicken and fish, and more. If you are looking for a more upscale dining experience, be sure to try out the White Horse Fashion Cuisine restaurant. Located by the main entrance to the show grounds, White Horse provides the perfect atmosphere for a relaxing and refreshing dinner with a wide range of food and drink choices. PBIEC also caters to special and corporate events throughout the season. No matter what type of food or experience you are craving, there is something for everyone on-site at WEF. Of course, the main attraction to WEF is the high level of show jumping competition. And there is no better night to witness this exhilarating entertainment than on Saturday night. The Saturday Night Lights attraction has become a favorite for both competitors and spectators. Beyond watching the best riders in the world, there are many activities for the whole family to enjoy. Pony rides, petting zoos and stilt-walkers are just a few of the many things you’ll see when you walk through the front gates at WEF on Saturday night — and it is all free to the general public. Saturday Night Lights is not just for the kids, because adults can also have fun at one of the many bars located around the International Arena both during and after the Grand Prix. You can also dance the night away at the Gallery after the conclusion of the class, the heartbeat of the venue after competition concludes. If you can only attend WEF one day a week, Saturday is the best choice. Outside the ring, the Winter Equestrian Festival continues to offer several learning experiences and activities for everyone. Come take a tour of the world-renowned facility followed by a catered lunch. Explore all 12 of the competition rings, the stabling area where horses prepare for competition, and a stroll through Vendor Row. Perhaps you’d like to forgo the tour and sit in and expand your knowledge at one of the popular Lunch & Learn classes. Hosted on Thursdays weekly during WEF, the Lunch & Learn series provides educational platforms for horse enthusiasts to learn more about a variety of equine-related topics, including management and maintenance, horsemanship and care, as well as emerging technologies and treatment methods available in the equine veterinary industry. Speak with experts in their respective industries and enter to win fun, end-of-season prizes. Whether staying for the entire 12 weeks of competition or just passing through for a few days, there is plenty to do at WEF. You can witness the world’s best riders compete daily, dine at a variety of restaurants, shop until you drop, entertain the kids or enjoy an adults-only night out, and learn more about various equine topics — all without leaving the showgrounds. For more information about the Winter Equestrian Festival and the Palm Beach International Equestrian Center, visit www.pbiec.com.